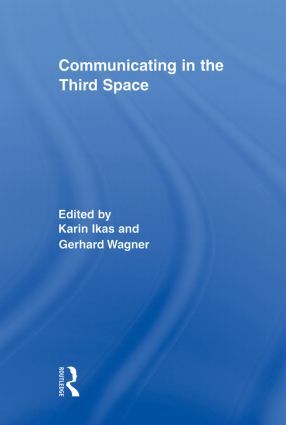 Communicating in the Third Space aims to clarify Homi K. Bhabha’s theory of the third space of enunciation by reconstructing its philosophical, sociological, geographical, and political meaning with attention to the special advantages and ambiguities that arise as it is applied in practical--as well as theoretical--contexts. The idea of "third space" conceives the encounter of two distinct and unequal social groups as taking place in a special third space of enunciation where culture is disseminated and displaced from the interacting groups, making way for the invention of a hybrid identity, whereby these two groups conceive themselves to partake in a common identity relating to shared space and common dialogue. The essays collected in Communicating in the Third Space--including a preface by Bhabha himself--brilliantly introduce readers to this exciting topic in Cultural and Post-Colonial theory and offers insightful elaboration and critique of the meaning and relevance of life in the "third space." With a preface by Homi K. Bhabha.